12/3 MC armored cable features PVC jacket and THHN/THWN insulation to safeguard against sunlight, UV and electrical hazards. The copper cable has voltage rating of 600-Volts. It is suitable for branch, feeder and service power distribution in commercial, industrial, institutional and multi-residential buildings. This 250-ft cable comes in spool/reel. 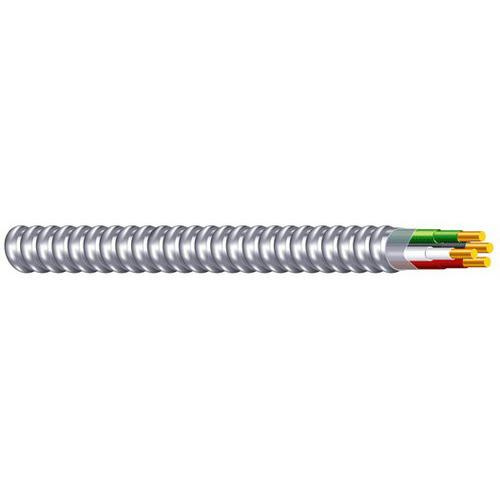 Cable is UL listed, RoHS/REACH compliant and meets Federal specification/NEC standards.